These offset hooks from Damiki are super sharp and feature Damiki's outward needlepoint that eases hooksets on the lightest bite. 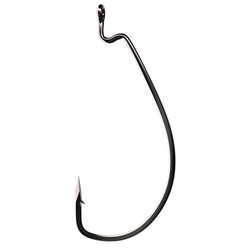 When you are in need of a wide gap worm hook lookno further than the Damiki Viper Wide Gap Hook. Whether you are Carolina rigging, flipping, throwing a Senko or soft bodied frog the Damiki Viper Wide Gap will easily stick the fish with all of the holding power you'll need to get the fish to the boat. When you are in need of a wide gap worm hook look no further. Whether you are Carolina rigging, flipping, throwing a Senko or soft bodied frog these Wide Gap will easily stick the fish with all of the holding power you'll need to get the fish to the boat. 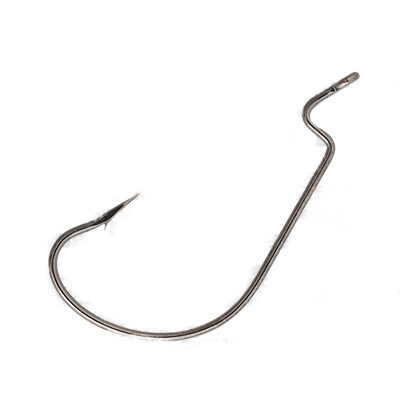 Plasma Point Series extra wide gap (EWG) hooks. These hooks are perfectly balanced to work with any brand of Hollow Body swimbaits. 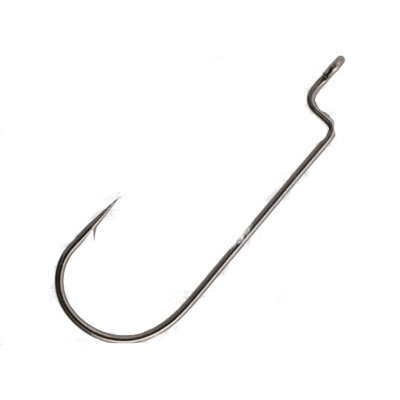 These hooks are razor sharp, and feature an oversized screw eye. Now you can rig soft baits quickly and securely with the patented double-point TriggerHook from Z-Man. Our ingenious weighted opposing-point design is ideal for the majority of soft plastic baits, from worms to crawdads to swimbaits.